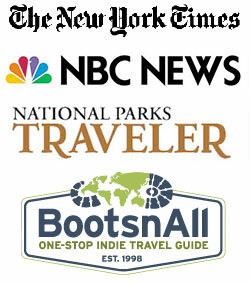 What Job Opportunities are in Glacier National Park? Welcome from Crater Lake National Park! I’ve been there a number of times, and it’s such a beautiful place to visit. I’ll never forget watching the Vidae Falls tumble over the rocks or taking pictures of The Pinnacles. So awesomely gorgeous. And let me tell you: Glacier National Park is even more amazing! If you’re thinking of making the move but not sure if there are any good jobs available in Glacier, don’t worry! There are more job openings at the park than I could possibly list for you here, and each and every one of them is up for grabs during the summer season. I’m not sure what you’re up to over at Crater Lake–if it’s more on the customer service side or the park side–but there are bound to be similar opportunities at Glacier. If you want to work the trails, take a moment to pop on over to the National Parks Service website to see what kinds of jobs are open. There isn’t much turn over with these positions, so openings can be kind of scarce. If your experience lies more with the service industries, then you are also in luck. Check out Glacier Park Inc.’s site for an incredible array of different jobs. This company owns and operates many of the park’s major resorts and lodges. Through Glacier Park Inc., you can work in restaurants, shops, hotels, and cafes in a variety of different positions. Experience is oftentimes not required for these jobs, and the pay is really fantastic. How can you beat all that? As of right now, the cost for room and board is a measly $11 per day. And every consecutive year you work for Glacier Park Inc., the cost is decreased by 25%. Talk about treating your employees right! You’ll be expected to work up to 40 hours per week, but you may not be on the job quite that much. The pay is also excellent, with a great base rate plus tips. Glacier Park Inc. accepts applications from October to April, so get yours in as soon as you can to make sure you get your top pick of jobs. I know it must be hard to turn your back on the mind-blowing beauty of Crater Lake, but you definitely won’t be disappointed when you get to Glacier. It’s such a great place to be and work. I hope you decide to come on over! Here’s Glacier Park Inc’s official page. Comments for What Job Opportunities are in Glacier National Park? If jobs are there for the taking why didn’t I get one? I applied for summer employment and got no offers. I am a 61 year old female that was willing to work in any dept and was not offered a job. Any suggestions for me for next year.